It's time for Teacher Book Talk Tuesday! Am I coming to the party early this time? Nope. 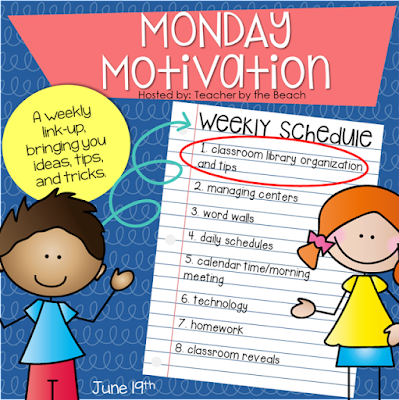 Today my book talk ties in with Monday Motivation, the link-up by Teacher by the Beach. Today's topic is Managing Centers. Let's go! Today I'm going to talk about why I LOVE this book– Purposeful Play! I hear you say, Kathleen, you are confused. 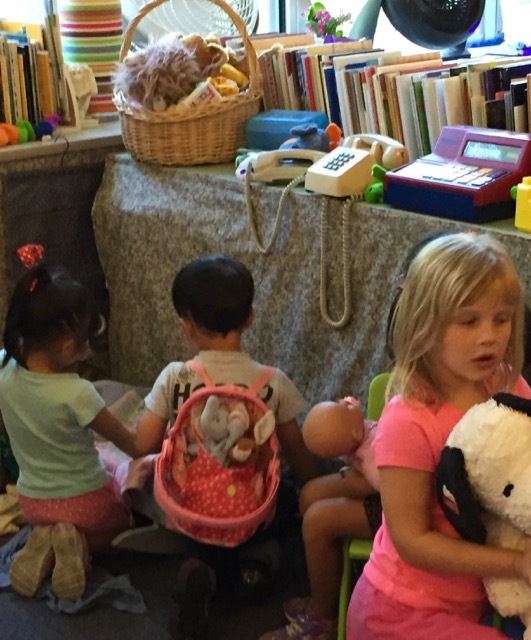 You said you are doing a teacher talk about purposeful play, and yet the topic is also CENTERS. Whaaat are you doin'?? Stay with me here. The two do go together. 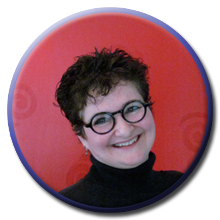 Purposeful Play is written by Kristine Mraz, Alison Porcelli, and Cheryl Tyler. In addition to the title of the book drawing me in, two of the authors were a hook for me. Kristine Mraz is half of the duo who brought you Smarter Charts K-2. She and Marjorie Martinelli wrote this TERRIFIC book about the importance of anchor charts which included wonderful ideas for making them. I was always a chart person, but this book made me think in new ways. It even helped me draw people, a useful skill I didn't know I had or needed. If you don't know about Smarter Charts, make sure you check it out later, along with the two other books Kristi coauthored. And Alison and I go way back... though she probably doesn't know that. snort. 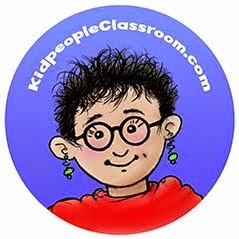 I became a follower when she lead the kindergarten sessions at Teachers College Reading and Writing Project, Summer Writing Institute many years ago. She REALLY knew her stuff– not just her writing stuff, but her kindergarten stuff. It was wonderful learning from a master teacher who was ingrained in Lucy Calkins Unit of Study for Writing AND knew kindergartners' developmental needs and what that means for the kindergarten writing classroom. Now, in teaming up with Kristi and Cheryl, that knowledge is shared with us again, this time by discussing how play is crucial to learning, all learning. When I got this book last summer I poured over it. I carried it around with me even as school started up again in the fall. Much of it is what I already believed– I didn't need to be convinced that play was important– but there was more. The research behind play and the results that happen when it is carefully and purposefully incorporated into the school day was so well laid out. Data from longitudinal studies and brain science was shared clearly. 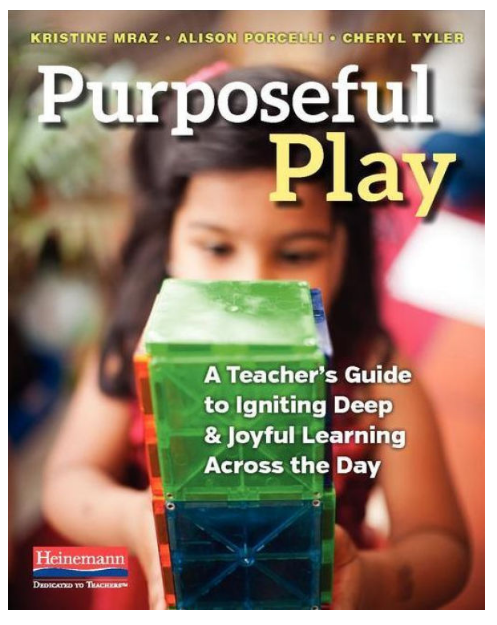 Great tips for structuring play, teaching into play, and making the most of play filled the pages of this book and I believe every Pre-K, kindergarten, and first grade teacher MUST read it. Let me forewarn you in case you think play is just nice fluff. Or it is only for preschool. Or it is easy. Play is not. Kristi, Alison and Cheryl point out the four types of play kids need and why– rough and tumble play, fantasy play, construction play, and games with rules. They describe how using a workshop structure at play times, including a mini-lesson and share time, works to teach many things– learning how to use tools and materials, learning about sharing, collaboration and negotiation, problem solving and planning– all skills that will help kids be "college ready" and successful in life. 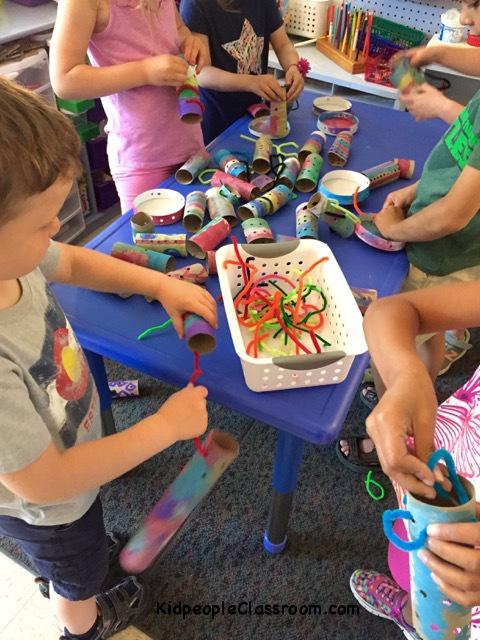 They talk about infusing play and joy across the day in both small and big ways– by letting student interests inform teaching; creating playful charts, tools and props to support both class and individual goals; and using inquiry as a method of teaching. Some of these ideas you can use immediately in your day. They also talk about how play can help children build a growth mindset... we've all heard a lot about that! This is real nitty-gritty stuff, people. The stuff great teaching is made of. And I am not going to lie, there are some ah-ha moments and quick tips that can be used tomorrow, but most of it takes real thought and work to do. For me it is a journey. I am reading the book again, and making notes to myself on new things I'm going to put into place this coming year. Ah, now you say, Kathleen, play is all fine and good, but our district has rigorous standards and highly structured schedules for kindergarten. We have benchmarks, and teach to the Common Core State Standards. We simply can't fit play in, and we'll be in trouble if we do. What a sad state of affairs when teachers who were taught the developmental needs of children in order to become teachers are put in this situation, where we feel we cannot do what is right, where we get in trouble for doing so. I say, this is the book for you! You need this information about play in order to be able to articulate what you do and why. And you need the practical suggestions for implementation. You also need the time you have this summer to creatively think about how to incorporate play into the parameters in which you teach– maybe in small ways, maybe in large. But do know, there are ways, and the most highly effective among us will find ways to persist until it works for our admin, ourselves, and most importantly, our students. Play works for me. It does. I have been through changes in administrators, changes in curriculum, changes in classrooms and grades. I usually have classes of more than twenty students, with one third to one half of them as English Language learners. Over the years my school has shifted to a Title One status. But I have always incorporated play. And I don't mean a mere ten minutes of play, either. I mean a chunk of meaningful time and meaningful choices. Play is not the only teaching strategy I use, but it is a vital strategy for TEACHING children, and ninety percent of my kiddos meet the district and state objectives. Play helps me see each student as a whole child, not just a child who I do guided reading with here, writing workshop with there, and guided math with now. When you teach the whole child, you can't help but see results. Without even having to read the book, you can begin to think and plan for more play. How? 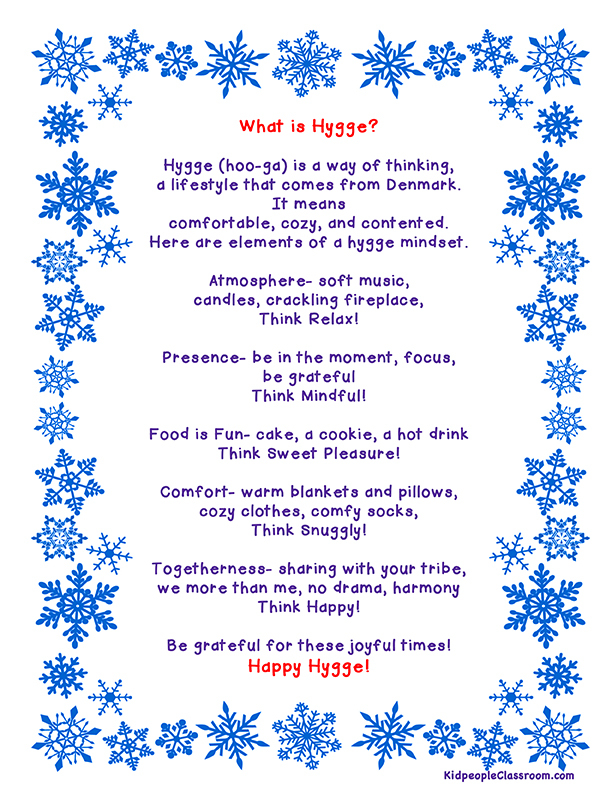 You can download the free sample and listen to the webinar on the Heinemann site. Yes, it's free. The trio's words will convince you more than I ever can. Click on the Purposeful Play book cover up above to go. Once there, click on "Full Description" then "Samples" and you'll find a chapter of the book and the webinar that Kristi, Alison, and Cheryl did. 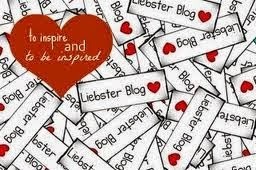 There are also "Related Blog Posts" listed that will help you learn and grow. I really cannot recommend the book highly enough. I believe you will find it worth every cent you pay for it and every minute you spend reading and rereading it, for once you get a taste, you'll want to know it all. Whew! Now, I said centers were going to come into this post. Although Purposeful Play does advocate for large portions of play in the day, I say, a little is better than none. 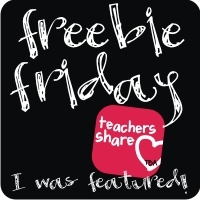 If you truly feel right now that you cannot put free choice in your school day, then here is a way to use the center structure you already have in place. No matter how you organize your centers, whether you have four, eight, or twenty in a week, some of those centers can be for play. 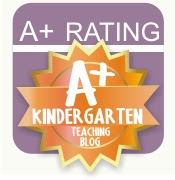 Most kindergarten teachers believe that hands-on activities are best for young students and incorporate manipulatives, games, and various fun worksheets into center work. Good. But we all know that in those independent centers there are some kiddos, hopefully only a small group, that cannot do the task. Some of them get good at watching their classmates for clues on what to do at the center and this is not all bad. Children do learn by watching others and it is a valuable coping skill throughout life... even if we don't realize that is what children are learning at centers. The best teachers amongst us know that the objectives of each center and the practice we intend are not always reached. We might get the time we need for doing our guided reading this way, but the "work" at the independent centers is not happening. So I say, make sure at least some of that center time is spent in play. Think of ways to incorporate choice as you can. 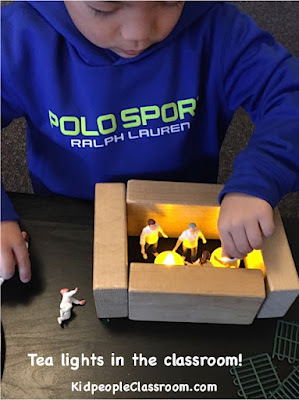 Even if the center is only in one area with one set of materials– be it the dramatic play area, blocks, loose parts, small world, the fine muscle/sensory table, etc– make sure there is choice within that center and the "task" is open ended. 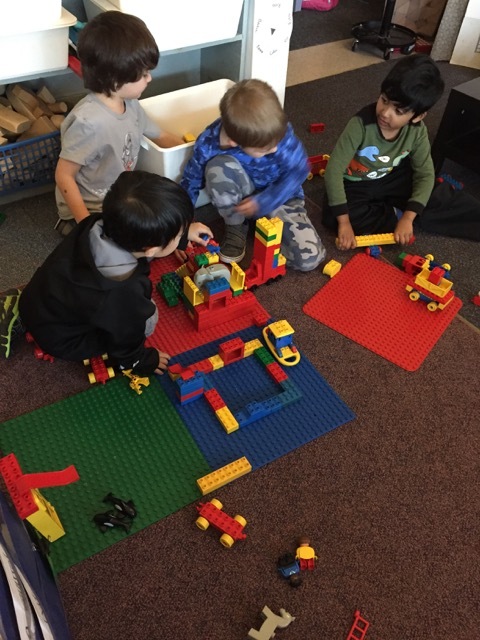 Concepts like counting, sorting, patterning, measuring, spatial awareness, physics, cause and effect, problem solving, social awareness, leadership skills, and social studies learning like sharing, collaborating, planning, using empathy, and MORE will be learned through the PLAY. I know of teachers who have been very creative in incorporating play into center time. Some make one center a day a free choice center. 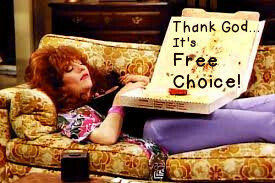 I know of one who does eight centers in a week, and two or four are free choice centers. Some have put two centers "together" to allow for greater uninterrupted time in their free play centers. Half the class does free choice, while the other half of the class takes a rotation at both task centers. Then each half of the class flip flops from free choice to task centers. I know of a teacher who simply makes her free choice time the entire time she pulls students for guided reading– she found kids happier and less likely to need her help during guided reading when they were playing then when they were doing structured centers. This same teacher found another block in the day for "centers" when she would teach a literacy or math center, and she found she was more available to help those that needed help at the other centers this way, too. Remember to teach into the play time with a mini-lesson before you start. Allowing for free play during centers does not give you the time for the observation that helps you make free choice most valuable, as outlined in Purposeful Play. You can get some idea of what went on if you have a share time afterwards and I encourage you to plan for this. 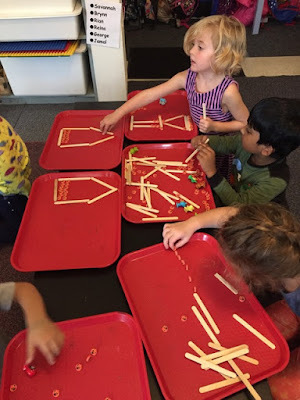 My ideas for incorporating play into center time do not come from Purposeful Play per se, but I suggest them for teachers who say they can't do free play at all. It might be a first step at seeing the power of play in action, and realizing that students who love it so much are indeed doing powerful learning because, indeed, humans are wired to learn through play. Reading Purposeful Play will help teachers choose play, give many ideas for putting play in the day, teaching into play, and getting the most out of play opportunities. Kristi, Alison, and Cheryl believe that "play is one type of environment where children can be rigorous in their learning." That when children play "they are able to achieve things at the farthest edge of their zone of proximal development (Vygotsky, 1978)" Also, "play allows multiple opportunities and modes to reach various (Common Core) standards." Giving your children time in free choice is not just fluff, but providing the best opportunity for learning that you can, especially when you incorporate the philosophy of play and implementation steps that are found in Purposeful Play. I truly encourage you to give play in your classroom some thought with the help of the wise words from this author trio. Now click on back to Monday Motivation with the button below. You'll find some great center organization tips. 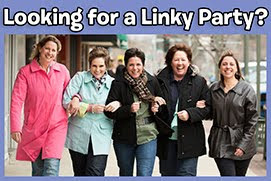 Thanks to Jen for the link-up. I look forward to checking out teachers' word walls next week. And thanks for stopping by today. 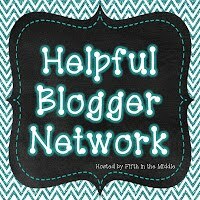 Bloggers grab this button and link-up your book review posts– remember they can be for kids books, teacher books, like I did this time, or books for your own sweet pleasure... I'll be doing that next time. Gosh what would we do without books... the internet will never replace them! See you next time. 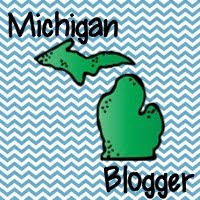 Remember I'll be sharing info, pics, and a tour of my classroom featuring storage, alternative seating, and brain compatible elements later in July. Hope you'll follow so you won't miss it.